DPP's presidential candidate Tsai Ing-wen seen as a sure-win next year's polls. The Democratic Progressive Party (DPP) feels confident that it can win both the presidential and the legislature elections in January 2016. Its strategy therefore is simply to avoid major mistakes, hence its cross Straits policy emphasizes the maintenance of the status quo and it also avoids any severe criticisms of the Xi Jinping-Ma Ying-jeou summit. Its confidence was reflected by the fact that its cadres did not take a holiday last summer in preparation for the campaign ahead. The Kuomintang finally persuaded Eric Chu to replace Hung Hsiu-chu as its candidate in the presidential race. The heavyweights all shunned the candidacy earlier, reflecting their lack of confidence in the coming election. But Hung’s candidacy was so weak that it created two serious dangers, causing the Kuomintang factional leaders to come to a consensus. The first danger was the impact on the concurrent Legislative Yuan elections. For the first time in history, the Kuomintang appears likely to lose majority in the Legislative Yuan. Without the majority control, it would lose any significant role in the policy-making process, in contrast to the years of the Chen Shui-bian administration. Further, it might be stripped off of its party assets. As the richest political party in the world, its assets have been used to support a large bureaucracy. Its strengths will be much eroded if the party loses its assets which are estimated to be at least over NT$20 billion. The second challenge was the declaration of James Soong’s presidential candidacy in August this year. Soong’s candidacy demonstrated the weakness of Hung as he was often slightly ahead of Hung in public opinion polls. Soong knows he has no chance of winning the presidency, but he believes that his campaign would strengthen his party — People First Party — and probably help it win a few more seats in the legislature. Soong has been considered a traitor by many in Kuomintang, and his flirting with the DPP has been an embarrassment to the ruling party. The Kuomintang has succeeded in securing a relatively amicable withdrawal of Hung who simply could not raise money for her campaign from the business community. Eric Chu obviously can now fully mobilize the party’s resources, and his campaign hopefully will be able to help some Legislative Yuan candidates. An interesting phenomenon in Taiwanese politics in recent years has been the emergence of new parties, which reflects the disillusionment of the electorate with the mainstream political party. The election of Ko Wen-je as the Mayor of Taipei last year has been the most prominent indicator of this trend; and he is perceived as a potential candidate in the 2020 presidential election. Besides the earlier small parties such as the Green Party and Labour Party, the former civil servants, Buddhists, and the young activists of the Sun Flower Student Movement have all formed their own political parties now. Obviously, they do not have a significant role in the presidential election; they are also handicapped by the threshold of five per cent of the vote in the national constituency in the Legislative Yuan elections since none of these new parties are expected to reach the threshold. The Green Party and the Social Democratic Party have formed an electoral alliance which, according to recent public opinion polls, manages to attract only 3.8 per cent support of the electorate. Factionalism based on families in the Kuomintang has been a serious factor reducing its appeal to young voters. Journalists even say that the Kuomintang probably cannot win 10 per cent of the votes of the newly-registered young voters. The DPP however cannot claim to be entirely free from such factionalism. Ordinary people in general are very critical of money politics in Taiwan, and it accounts in a large part for the appeal of outsiders like Ko Wen-je. Apparently the Chinese authorities have been very successful in cultivating the leaders of the Blue Camp (KMT), the business community and a few leaders of the DPP. They are now worried that the DPP’s electoral victory may lead to setbacks in cross-Straits relations. Contacts have been made with the DPP to convey Beijing’s expectations of the DPP administration-to-be; and an academic conference was held in Macau in late October to relate such expectations to a group of selected pro-DPP academics. 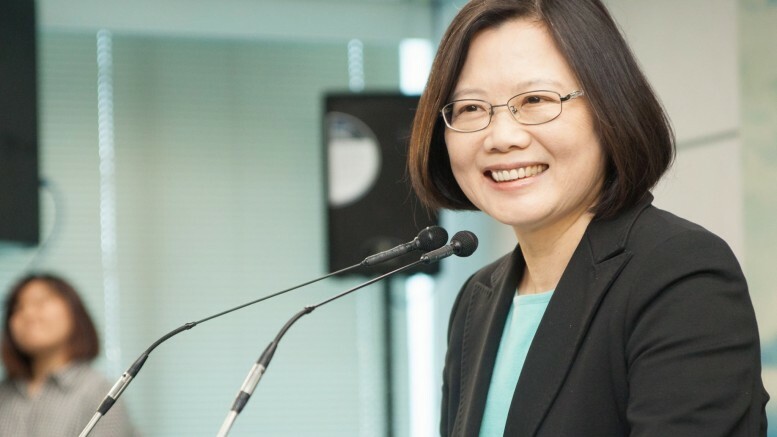 Tsai Ing-wen has revealed that her administration has no intention to provoke the Chinese authorities in its early years, and it plans to maintain the status quo. She realizes that while Taiwan’s economy is highly dependent on that of the Mainland, most people in Taiwan prefer the maintenance of the status quo. Joseph Cheng Yu-shek is former professor of politics at the City University of Hong Kong. Be the first to comment on "DPP confident of winning 2016 polls, but vows to keep status quo"